If you have used Honor’s smartphones before then you know that they have been very impressive, and with the launch of Honor 10 smartphones, the company has not disappointed us. Considering the fact, how we like to perpetually hold our mobile phones in our hands, it is a given that we would like to hold a beautiful device. If you are one of those people, then Honor 10 is the phone you are looking for. Honor 10 in its phantom blue model has a glass back whose color changes according to the angle of the viewer. But its not only the back of the device that is beautiful, the front part is equally amazing. Conversely, this very thing can make the phone slippery, so you have to hold it carefully. The bezel-free screen with a fingerprint sensor at the bottom and the front-facing camera is an absolute beauty. However, the notch for the camera is smaller as compared to that of iPhone X, but it can be hidden by turning the entire upper section black. One of the major features of the Honor 10 phones is that its fingerprint sensor, present at the back of the phone is ultrasonic, you can now open the phone even with wet fingertips. Its facial recognition features are unlike any other phone; you will get an angry alert from the phone if you cover the front camera, even accidentally. The front camera is 24 megapixels, which can be used as a mirror when you are not clicking a picture. 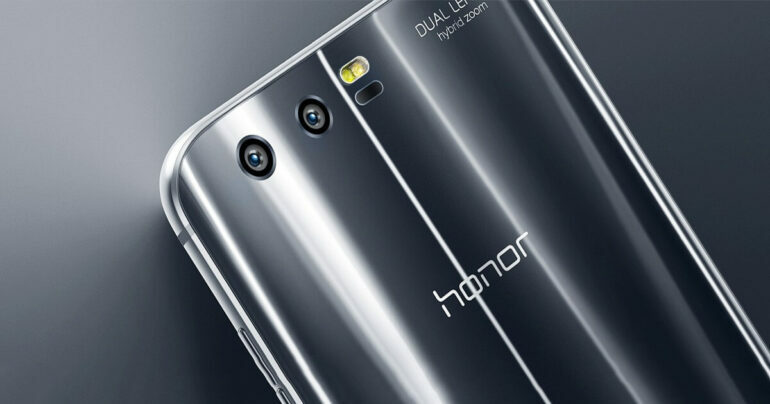 The two dual cameras on the back are 24 and 16 megapixels, allowing us to put that amazing Bokeh effect to use. The AI camera of the phone recognizes more than 500 scenarios and categorizes them in about 22 categories in real-time, and an upgrade is under work as well. However, in the low light situations, the camera takes a bit longer to the image brighten and sharpen the image digitally due to the absence of OIS (Optical Image Stabilisation). The 4 GB RAM allows the phone to run smoothly, however, it will always show you that you have used 2 GB RAM from 4 GB. The whopping 128 GB storage is more than enough for people like us, however, if you are a professional photographer or a videographer than you might find the lack of expandable memory quite annoying. Go for the Honor 10 smartphones if you want a flagship model at comparatively lower prices than other phones. RM1,699 does not sound too costly actually, with all the features that it is offering.